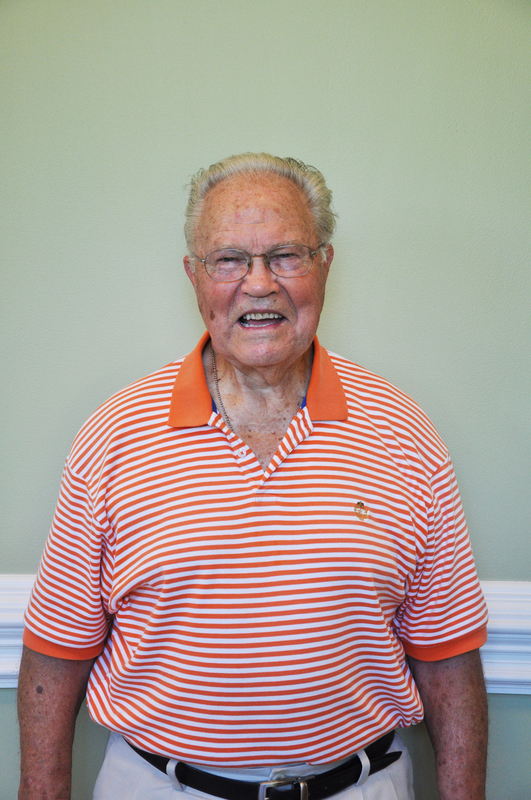 MILLIGAN COLLEGE, Tenn. (Dec. 3, 2014) — Milligan College icon Duard Walker will be the keynote speaker at fall commencement on Friday, Dec. 12, at 7 p.m. at the Mary B. Martin Auditorium in Seeger Chapel. Milligan will award 113 degrees at the ceremony. Notably, the college will award nine degrees to the first graduating class of the Master of Counseling program, which started in fall 2012. The December graduates include six Bachelor of Arts (B.A. ), 40 Bachelor of Science (B.S. ), 17 Master of Business Administration (MBA), 12 Master of Education (M.Ed.) and 29 Master of Science in Occupational Therapy (MSOT) students. Of the bachelor’s degree recipients, 25 are adult degree completion program (ADCP) students. Having recently turned 90 years old, Walker served in numerous capacities for 50 years at Milligan as a legendary coach, administrator, teacher and dormitory supervisor. In 1986, Walker was given Milligan’s Fide et Amore award, the college’s highest acknowledgement of service. Upon his retirement from Milligan in 2001, Sports Illustrated Magazine featured Walker, who coached nearly every sport in the athletics program. The Appalachian Athletic Conference’s All-Sports Trophy for the most successful athletics program bears his name. A complete schedule of graduation activities is available online at www.milligan.edu/commencement or by calling 423.461.8681. For those unable to attend, the ceremony will be broadcast live at www.milligan.edu/streaming. Posted by Stephen Woodward on December 3, 2014.